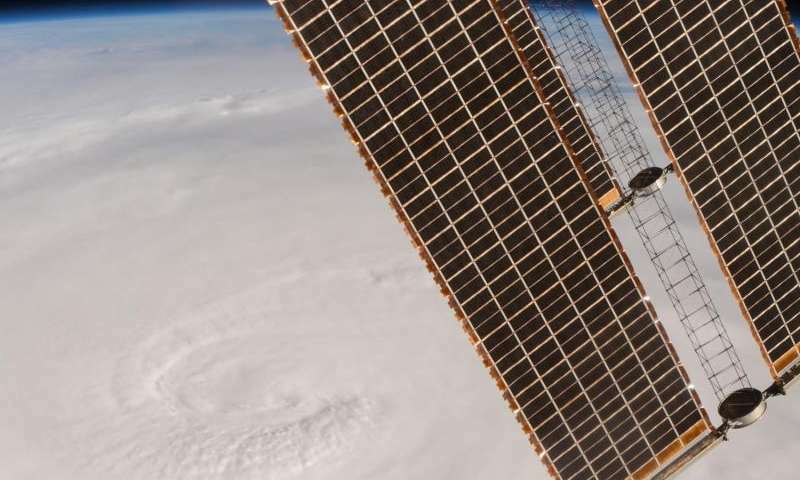 The International Space Station has tracked Hurricane Matthew all week, providing images and video from low Earth orbit as the storm hit the Caribbean Sea and made its way towards Florida. In this photograph taken by Expedition 49 Flight Engineer Kate Rubins on Oct. 4, 2016, at 21:05 GMT, the hurricane's clouds extend across the frame and the space station's solar arrays are visible at the upper-right corner of the image. As the hurricane strengthens and approaches the Florida coast, NASA and NOAA satellites continue to provide forecasters and scientists valuable data on the development and changes in the storm.